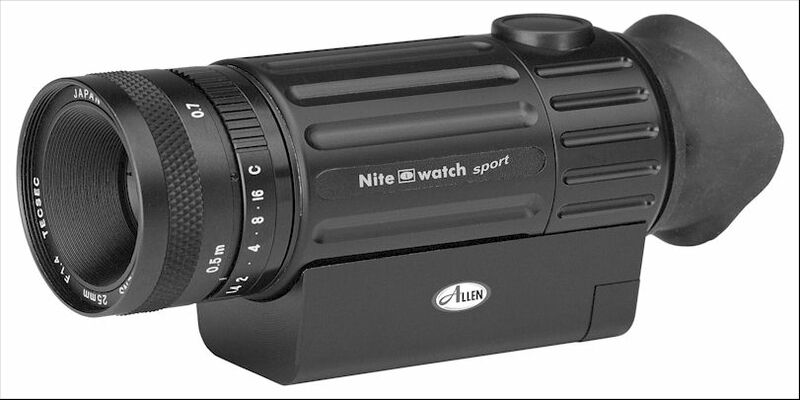 Professional night vision equipment for journalists, security consultants, police and armed forces. The nite watch is available in 4 tube generations, gen 2+, Supergen, Hypergen and gen 3. 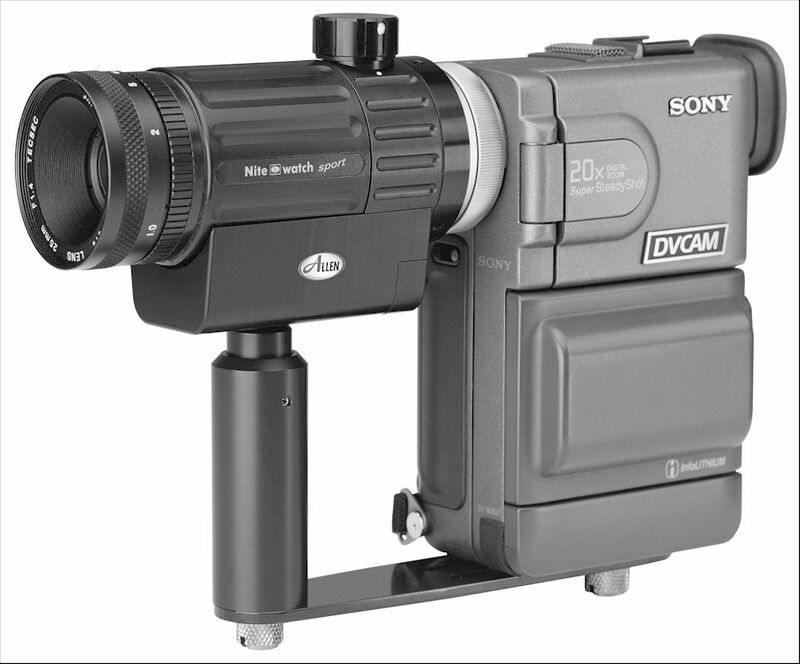 Versatile night vision system available with adapters for 35mm cameras, cctv camera adapters, video camcorder adapters. 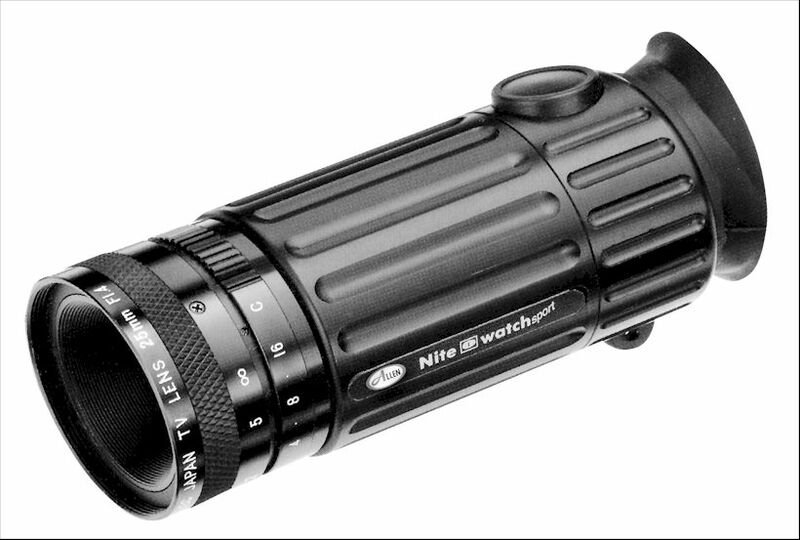 Top quality image intensifier tubes, ultra compact and light weight night vision system, rugged, shockproof and compact. Available with an optional side pack. The side pack will take larger batteries and also improves the field of view from 34 deg to 42 deg because the 3xCR1 cell holder on the standard model restricts the eyepiece. The side pack also has a standard tripod mount. flash protection and feature edge-to-edge definition. Resolution in the centre varies between 30-35 Ip/mm. 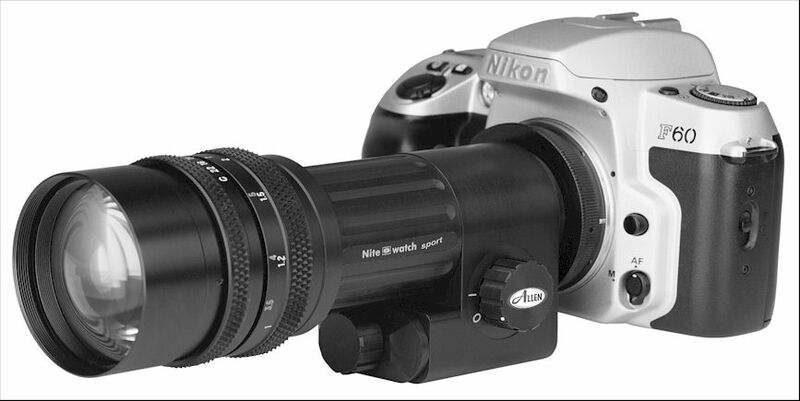 To increase the magnification of the P2000 units they can be supplied with an additional lens.